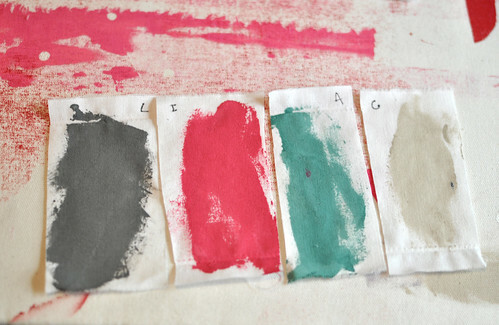 i spent some time mixing colours this weekend and then arranging the swatches into palettes for some quilt kits i have circling in my mind. so fun. i could seriously mix colours all day*. love. They are all beautiful combos. Yes, colours are so much fun to play with. The middle one is my fav! Came here via ricrac and love your blog - will be very happy to read more about you in the new year! What lovely combinations! I agree, I could mix colours for hours. 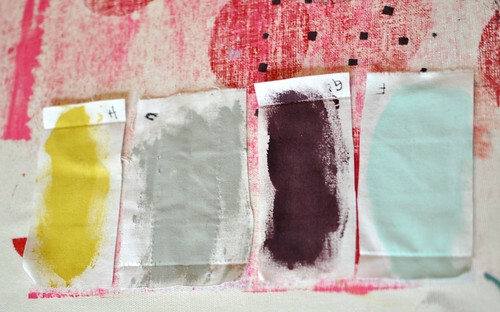 I love these color palettes. Quilt kits sound fun. I really love the last combination. Would look lovely on a little girls bed! So fresh! Harriet. The last mix is the winner combination. It is beautiful and it blends in superbly. 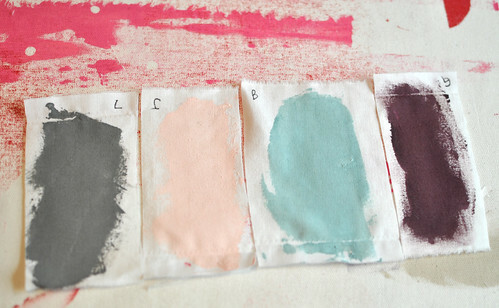 Mmmmm, some yummy colour palettes there. I love the yellow/aubergine combo. 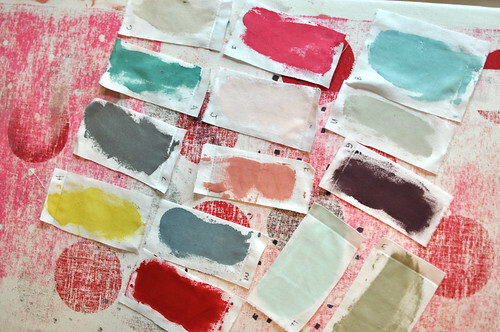 And I agree, I could mix colours all day too! Hi- I came across your blog through ricrac and love what I have been reading!I took silkscreen printing at college what fun it was.We did some printing using wax instead of photo emulsion on the screens -it had an interesting way of breaking down after many uses and was very organic-we just painted the hot wax on with paint brushes.Keep up the creative flow!